Far easier than hiking all the way to Red Hook to get a look at Six Point's sweet action (that's also the name of one of their beers!! 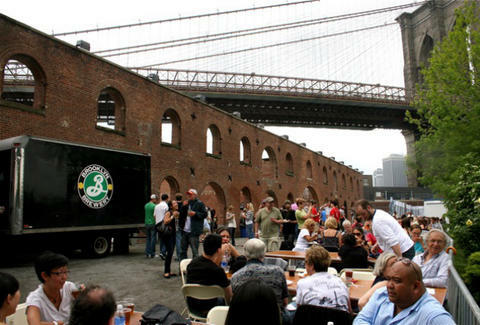 ), sudsophiles have been trekking to Brooklyn Brewery's namesake hood since they opened up in 1988. Swing by at 5pm on a weekday to join a 30-person "Small Batch" tour (reservation only), or ruin the rest of your weekend plans by spending a day in their expansive, seriously-bare-bones garden & tasting room, where you can wash down delivery pizza with perennials (Lager, Weisse Pennant Ale...) and seasonals (Summer Ale, Black Chocolate Stout...) purchased using wooden drink tokens ($20 for five).